Stateside, The Big Lie has been named a finalist in the Foreword INDIE Book of the Year Awards. 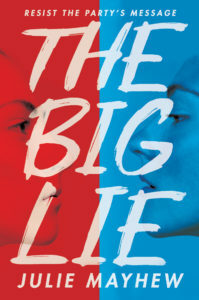 Foreword aim to highlight the best of publishing from independent presses in the US and have chosen The Big Lie as one of the year’s top Young Adult Fiction titles. This is my second nod from Foreword – Red Ink was a finalist in the 2016 honours – and The Big Lie has already won a bit of silverware across the pond in the Sidewise Award For Alternate History. June 15 is the date when the Foreword judges choose an overall winner in each category. Keep everything crossed!